As the name implies, artifacts from Myanmar represent the bulk of the inventory. However, on the many trips in the Asian region, I have succeeded in finding rare, beautiful and affordable handicrafts in various materials ranging from ivory, wood to terra cotta. I’m particularly proud of my small collection of unique 10/11th Century Khmer bronze figures excavated and saved from destruction of war and perils of nature, - some still retaining the much sought after green patina. Misc There are 115 products. 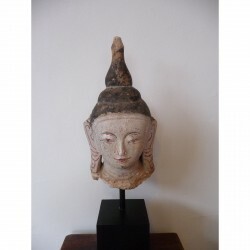 Nice Buddha head on base Place of origin: Myanmar Material: Stucco Height: 62 cm. incl. base, 40 without. Lenght/dept: Age: End 19 th cent. 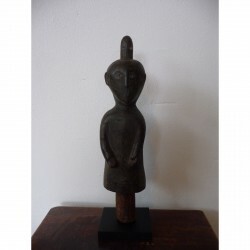 Wooden figure. Place of origin: Indonesia Material: Wood Height: 40 cm. Lenght/dept: Age: End 19 th cent. Wooden pig figure. Place of origin: Indonesia Material: Wood Height: 40 cm. Lenght/dept: Age: End 19 th cent. 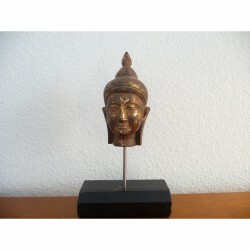 Gilted Buddha head. Place of origin: Myanmar Material: Wood Height: 25 cm without base Lenght/dept: Age: 20 th cent. 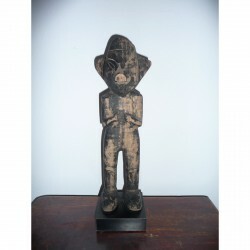 Interesting tripal sculpture from Borneo. 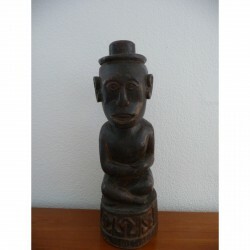 Place of origin: Indonesia/Borneo Material: Wood Height: 57 cm. Lenght/dept: Age: 19 th cent. 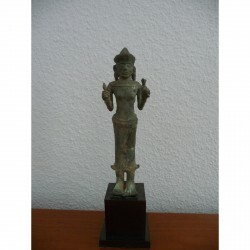 Bronze Visnu figure from Angkor Wat. Place of origin: Cambodia Material: Bronze Height: 18 cm. with base 25 cm. Lenght/dept: Age: 12 th cent. Beautiful god in nice colors in a very good condition. 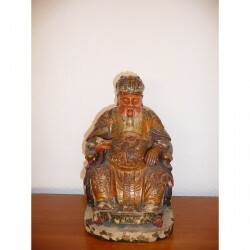 Place of origin: China Material: Wood Height: 31 cm. Lenght/dept: Age: 19 th cent. Nice little jarlet Place of origin: Vietnam Material: Pottery. Height: 7 cm. Lenght/dept: Diameter top, 2,5 cm, midt 7 cm. Age: 17 th cent. Beautiful nandu. 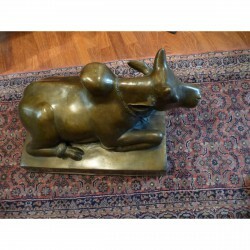 Place of origin: India Material: bronze Height: 38 cm. 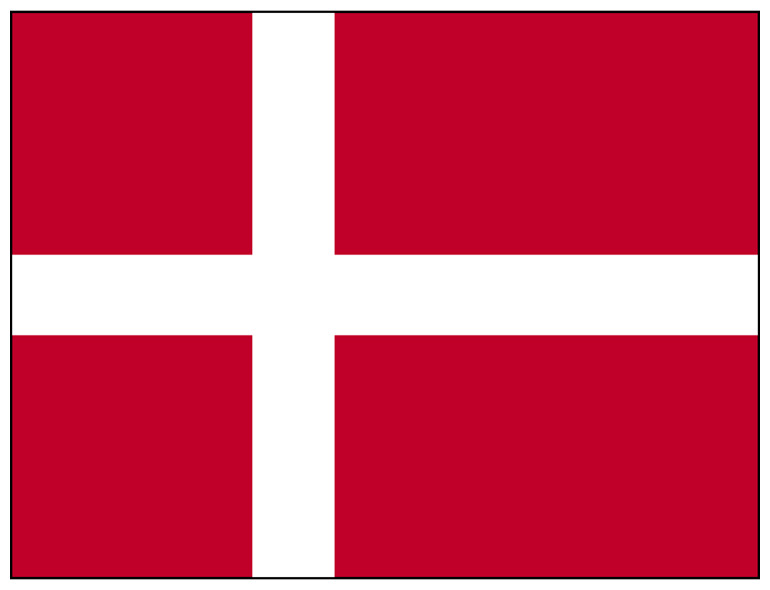 Lenght/dept: 62 cm. Age: 17-18 th cent. 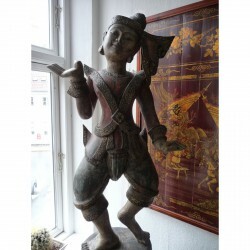 Large dancer, made in one piece of hardwood Place of origin: Burma Material: Wood Height: 125 cm. incl. base. 102 cm. without. Lenght/dept: Age: 17 th cent. A very beautiful standing Buddha. Presumably from India/Cambodia. 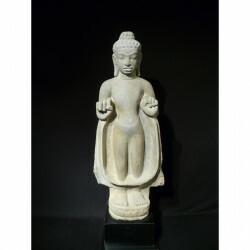 Place of origin: Cambodia/India Material: Sandstone Height: 60 cm. incl. base. 51 cm. without. Lenght/dept: Age: 17th cent. A collection of mixed items, a beetlenut cutter, a beetle nut container, a jewelholder, a tattoo tool. Price from 40 euro. The container is sold. 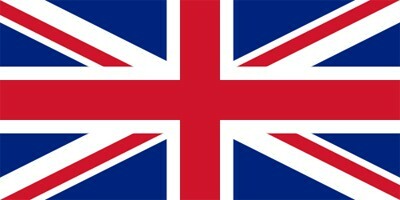 Place of origin: Burma Material: Among other bronze, ivory. Height: Lenght/dept: Age: 20 th cent.